Chances are that jar of honey sitting in your pantry right now isn't living up to its full potential. Sure, we all love some of this sweet stuff in a cup of tea, but there's a lot more you can do with it too. Here are five other amazing health benefits of honey. Keep your skin healthy and gorgeous. This may sound crazy, but you may want to ditch your traditional facial cleanser for a jar of raw honey. Its antimicrobial qualities will keep your face clean, won't strip away your natural oils, and according to preliminary research, manuka and kanuka types of honey can even treat acne. 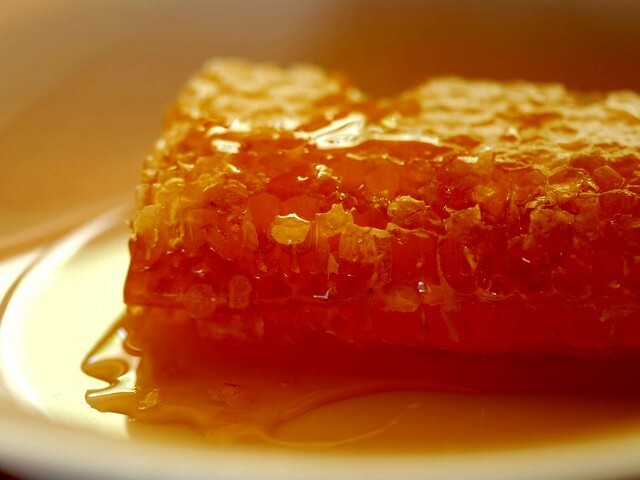 Honey is chock full of polyphenols, a type of antioxidant that helps to protect cells from free radical damage. Plus, if you're already sick, it has been shown to be successful in suppressing nighttime coughs. Treat cuts, burns, and scrapes. While honey has been used to treat skin ailments since ancient times, research now shows that thanks to its ability to produce small amounts of hydrogen peroxide, it actually boasts topical antibiotic properties. Everything from burns and scrapes to surgical incisions and radiation-associated ulcers have been shown to respond to "honey dressings." If you're looking to swap out chalky tablets in favor of a natural remedy, honey may help treat indigestion and acid reflux. In a 2006 study published in BMC Complementary and Alternative Medicine, researchers found that substituting honey for sugar in processed foods improved the gut microflora of male mice. Who knew honey could be used in place of a sports drink? If you're looking for an energy boost during intense training, studies shows that honey can be used as a carbohydrate replacement during endurance exercise.